What is the difference between your soft trim and other companies? There is a huge difference!!!!! All Legendary manufactured products are made in the USA to OEM specifications. We pride ourselves on the authenticity and quality of our product. We stand behind our manufactured products with our Limited Lifetime Warranty for as long as you own your car. Legendary Auto Interiors Ltd. is the only officially licensed manufacturer for Chrysler Corporation, American Motors Corporation and General Motors Corporation interior soft trim products. Quite simply our product quality and service is second to none!! There Really Is a Difference!! For specific information contact our offices directly. What parts do you manufacture? If you have any questions please contact us for clarification. Do you have a showroom where I can stop in and pick up parts? While many of our products are on display our showroom is not a retail outlet. Due to the “made to order” nature of our business orders may be placed that can be picked up at a later date. With prior notice, completed orders may be picked up in our showroom Monday through Friday 8:00AM-6:00PM, Saturdays by appointment only. Please contact a Legendary team member to inquire about your order before you arrive. Do you have original seat frames for my car? Legendary Auto Interiors, Ltd. maintains an extensive inventory of hard-to-find original seat frames for bucket and bench style interiors. Our extensive network of parts locators can find even the most hard-to-get seat frames and trim hardware, foam kits and molded headrests to assist in the completion of your restoration. Yes you can. Your email address must be provided at time of order. For those that do not have email please contact a Legendary Team member directly. Can Legendary deliver product to a show that I am attending? Yes, however prior notification is required. The primary reason we request this is because we must make sure there will be enough space on the vehicles returning to our facility. Can I drop off my frames to Legendary at a show you are attending? Yes, however you will need to contact us prior to the show to notify us of your intention. Provided your request is pre-approved we will accept product/ item(s) deliveries at a show. The primary reason we request this is because we must make sure there will be enough space on the vehicles returning to our facility. Yes. Although we proudly support a worldwide wholesale dealer network you may purchase direct. We are a Manufacturer, Distributor, Wholesaler and Retailer. Can you make Custom Interiors? Yes, if you can dream it, we can create it!! We provide simple custom interiors to complex custom interiors using stock to exotic materials including our LegendImagery or our process. Contact us for detailed information. Do you have a Trim Shop and do installations? Yes, Legendary Auto Interiors does have a full service in-house Trim Shop. We provide world class installation services on vehicles as well as individual items. These items may be dropped off or shipped to us directly. For more information please contact us for details. What is the thickness/weight of your vinyl? Is your upholstery easy to install? Due to the varying skill set of our customers and enthusiasts this question is difficult to answer. Our sewn products are made with expanded vinyl which is much easier to handle and work with during the installation process. For additional installation tips, tricks, and techniques please refer to our installation videos as well as our Technical Support department. Can you recommend a trim shop in my area? restoration shops to customers because we cannot guarantee the quality and consistency of the work they perform. We suggest contacting several shops for estimates on the specific kind of work to be done. Many shops may only specialize in a particular brand such as Chrysler, Chevrolet or Ford products. 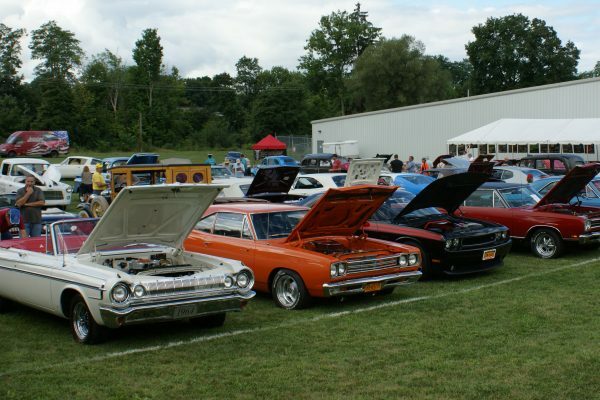 Also, ask around your area at car shows, cruise nights or car club meets as well as web forums for information on reputable shops in your area. Although experience can be an asset, the shop with “40 years of experience” is not always your best choice. 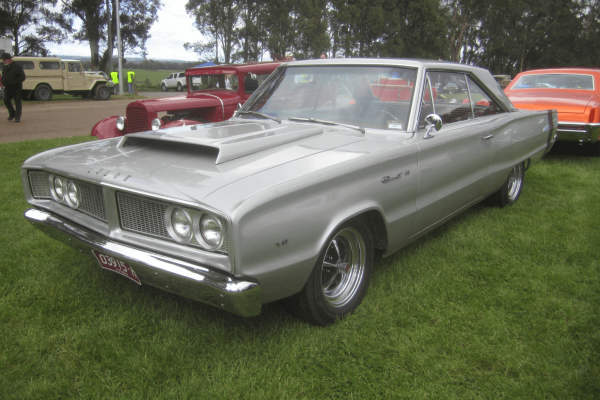 Do your homework before turning your pride and joy and your costly replacement parts over to anyone! If you do not have auto trim shop services in your area, our experienced, full service shop can perform all necessary frame up interior restoration as well as other product installation services. How do I maintain my new upholstery that I have purchased? All Legendary Auto Interiors, Ltd. products may be cleaned with a mild soap and warm water solution. Never scrub or use any kind of harsh pads, brushes or detergents. After cleaning with mild soap and water, lightly clean again with an industrial grade wax and grease remover (contact your local auto parts store). Allow surface to dry. LIGHTLY mist with the vinyl protectant of your choice not exposed to sun light. 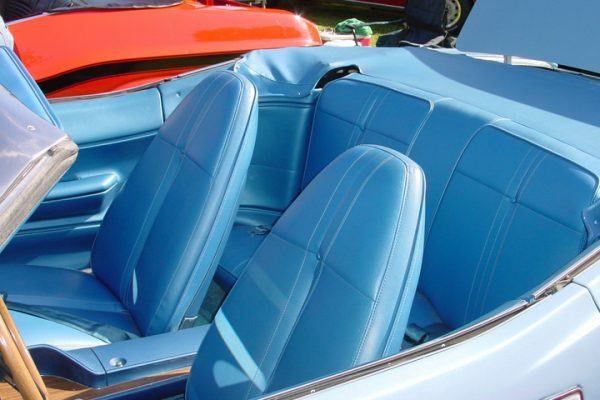 On leather upholstery applications we recommend using a high-quality mink oil, neatsfoot oil and/or leather wax. Hand apply, let stand 30-60 minutes and then wipe/buff clean. DO NOT USE SILICONE BASED PRODUCTS as they will deteriorate the thread and dry out the leather. Do you carry Dyes, Paints and Adhesives? No. Currently we do not offer any Paints, Dyes or Adhesives. Please check with your local automotive parts supplier. If I buy my seat covers now and my door panels at a later date, will they match? Legendary does it’s very best to maintain that all dye lots will be matched as closely as possible. Due to the nature of the color matching process it is impossible to guarantee an exact match. For this reason, Legendary Auto Interiors, Ltd. strongly recommends that all items are ordered at the same time. Who makes your interior parts? Legendary Auto Interiors has been proudly manufacturing interior soft trim products in the USA since 1985. 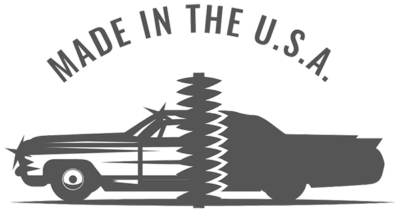 Legendary Auto Interiors, Ltd has always maintained a strong commitment to keep jobs in the USA. What is NOS and do you send samples? NOS means “New Old Stock”. These materials are original to a specific year and have a specific manufacturer’s seal printed on the back. NOS samples can be requested and will be sent once we have researched and located the materials. This is TOTALLY dependent upon availability. These materials are subjected to limited availability and in some instances they may never be available. It is best to contact our Sample Request Department directly when inquiring about NOS samples. Are NOS materials more expensive? Yes! NOS materials can cost significantly more than the price of a regular kit. This is due to the exclusive nature and limited availability of the material(s). Legendary Auto Interiors, Ltd proudly stands behind our products and services. 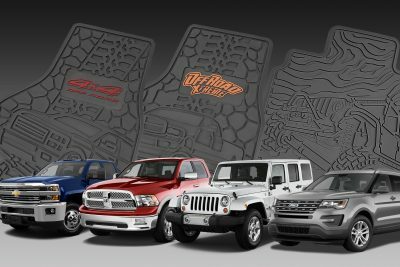 All Legendary manufactured interior soft trim products are backed by an exclusive Limited Lifetime Warranty for as long as you own your car. For additional specific information please click here. I need it yesterday! Can you help expedite my order? For items in stock expedited shipping options are available for an additional cost. 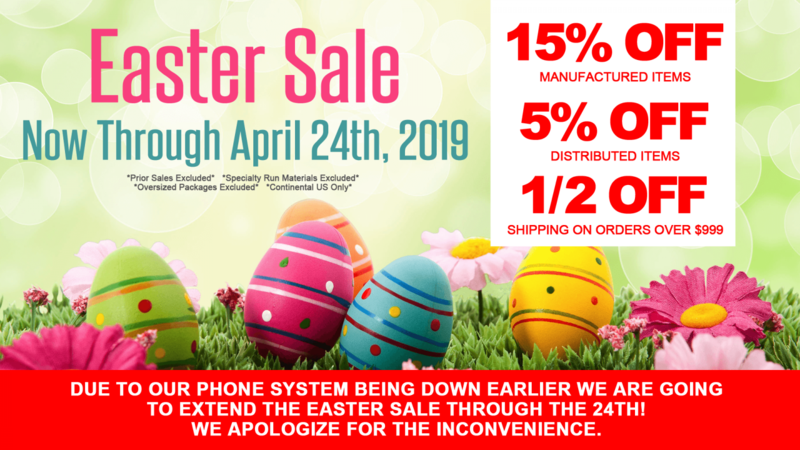 For items that are not in stock, we will make every effort to fulfill your order quickly without sacrificing Legendary quality or any other Legendary Customer order(s). For any questions or concerns that may not have been addressed above please contact a Legendary Auto Interiors team member directly.